Vatican City, Aug 6, 2012 / 01:11 pm (CNA/EWTN News).- Vatican Observatory director Fr. José Gabriel Funes thinks that “everybody” should be happy with the successful landing of the Mars science rover Curiosity. The priest explained that this drive for knowledge has a basis in the nature of creation. “Because there is rationality in the universe, we can do science,” he said. After a 36-week flight from Earth, the rover touched down on Mars early Monday morning near the base of a three-mile-tall mountain inside Gale Crater. 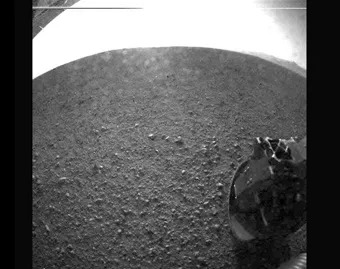 The Curiosity rover has sent back wide-angle images of the Martian surface. It will send back more images and scientific measurements throughout its operations. The $2.5 billion mission is run out of the Jet Propulsion Laboratory in Pasadena, Calif.
For almost two years, the rover will explore whether the crater area ever had favorable conditions for microbial life, according to NASA. Fr. Funes said that the search for extraterrestrial life is one of the things that has motivated humanity to explore space. “Until now, we do not have any evidence for life. But still, the search for life is worthwhile and we can learn many things,” he said, acknowledging that scientists may not find signs of life. The Vatican Observatory director rejected the idea that Catholics have anything to fear from the search for extraterrestrial life or from scientific exploration. “(W)e are not afraid of science, we are not afraid of new results, new discoveries,” he said.